The History of Sidney Hollow Ware Co. How those lovely Sidney skillets came to be. If your lucky enough to have a piece of vintage cast iron made by the Sidney Hollow Ware Co. then you have a real piece of history. 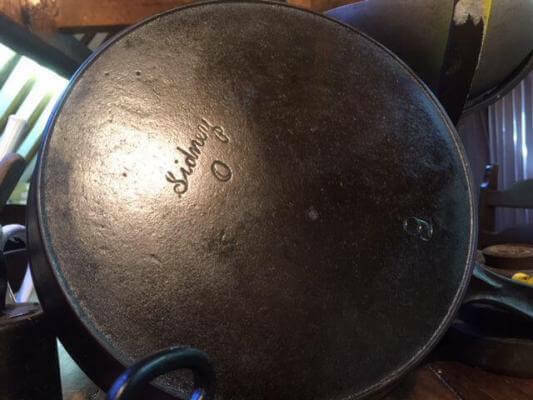 It’s amazing that you can find old Sidney skillets at Estate sales, antique auctions, online, and at thrift stores for a relatively small price. I have a couple of Sidney Hollowware skillets and they are really are wonderful to use. Just like other cast iron made during the time Sidney cast-iron just like Favorite Piqua Ware and Griswold cast iron have smooth cooking surfaces and tend to be lighter than modern cast-iron. The beginnings of Sidney Hollowware Co.
Smith rolled the dice and took a chance. Like many businesses back in the day it all started with one person packing up everything and taking a chance. In the case of Sidney Hollowware, it was a young man named Phillip Smith. Smith was born in Pennsylvania, however in 1859 he moved to Sidney Ohio. Even though he was only 21 at the time Smith brought with him the knowledge of molding he learn’t from a company called Thompson, McGregor and Callahan. Phillip Smith and is brother founded P. Smith Bro. & Co. for the grand sum of $25. Although Paul Smith would later buy out his brother. The young company took on any work it could to get established. Like many of the early foundries P. Smith Bro. & Co did not manufacture cookware. First the young company took any work it could find. Like many young companies such as Selden & Griswold it wasn’t easy. 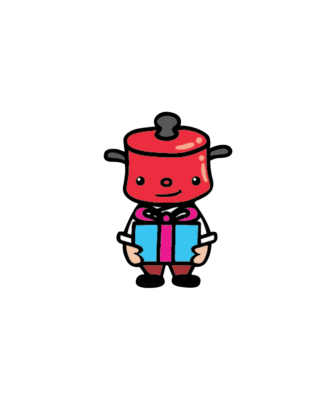 Even though we know Sidney Hollowware for cast-iron cookware this was to come later. Photo credit goes to Shelby County Historical Society. When the future of the foundry was looking bright disaster struck. After Smith and the company became established. The company began producing bells for churches and schools. Unfortunately when business was picking up disaster stuck, with a fire burning down the foundry sometime in the 1860’s. Without insurance the foundry struggled to get back on its feet. However through sheer hard work and determination Smith managed rebuild. Smith was on his feet again. By the 1870s Paul Smith must have gotten back on his feet. Smith bought out a company that was making ploughs at the time. With play straight out of modern business Smith rehired the former owner as a consultant. Along with early cookware such as kettles and now ploughs. Smith made more precision casting such as: steam engines, boilers and was now producing quite a number of cast-iron bells. To do this Phillip Smith must have had a great understanding of metal casting and been very good at what he did. Photo credit goes to the Shelby County Historical Society. Was this the time when Sidney Hollowware came to be? Philip Smith proceeded to expand the business. In 1886 he expanded the business to include cast iron hollowware, what we often refer to pots and pans today. Was this when the name Sidney Hollowware Co. come to be or was it earlier after the fire, referring to kettles and bells as hollowware? Today it would seem strange to change the business name for a new product range especially when Smith had worked so hard rebuild his company and was doing well. Interesting the script logo which is considered to be older of the two logos only had the word Sidney and the letter O. No mention of Sidney Hollow Ware on the Skillets. 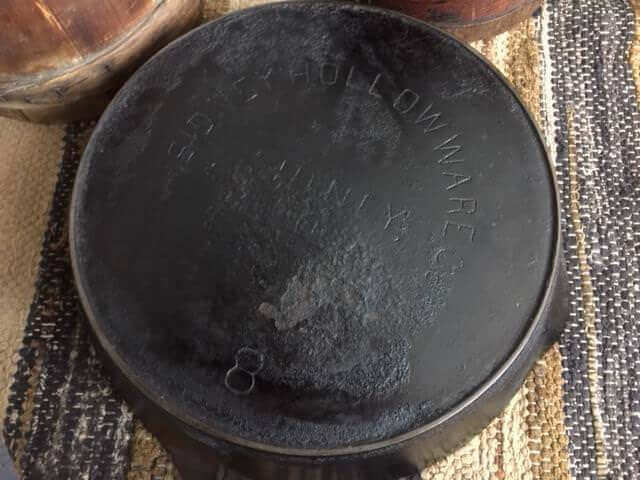 Sidney Hollow Ware may have started making spokes for wagons but they jumped on the cast-iron cookware bandwagon like other foundries. Like many foundries during this time Sidney Hollowware may have seen an opportunity to make cookware. There was great demand from customers wanting cast-iron cookware for use on coal or wood ranges instead of a simple griddle or kettle hung above an open fire. To have an indoor range during this time must has seemed ever so modern. However Phillip Smith was an obviously skilled metal caster, and many pieces of Sidney cast-iron were coat in chrome. From what I’ve seen of Sidney Hollow Ware products they must have been highly priced. Our Sidney skillets are incredibly smoothed and obviously machined polished with great care. The company also casted milling machinery and copper tub wringer-washing machines. To keep up with demand the company had to employ an extra 20 staff. The Wagner buyout of the Sidney Hollowware Co. The Sidney Hollowware Co, continued to well under Smiths leadership until the company was sold to Wagner Ware in 1897. Reportedly Sidney Hollowware was sold to Wagner for $35000 not bad for the initial investment of $25. Unfortunately for Sidney Hollowware it would no longer be a stand alone company. Identifying Sidney Hollowware skillets under the leadership of Smith to those made under Wagner’s ownership. Smith wanted his Sidney Hollowware back. Smith bought back Sidney Hollow Ware Co. from Wagner Manufacturing Company in 1903. I would love to know why. To place a guess id say it would have been hard to give up something he poured his heart and soul into. However Smith did not restart the foundry and in 1907 he retired from the business. Unfortunately this was due to health reasons. Smith and his wife traveled and continued to contribute to the community until his death in 1914. 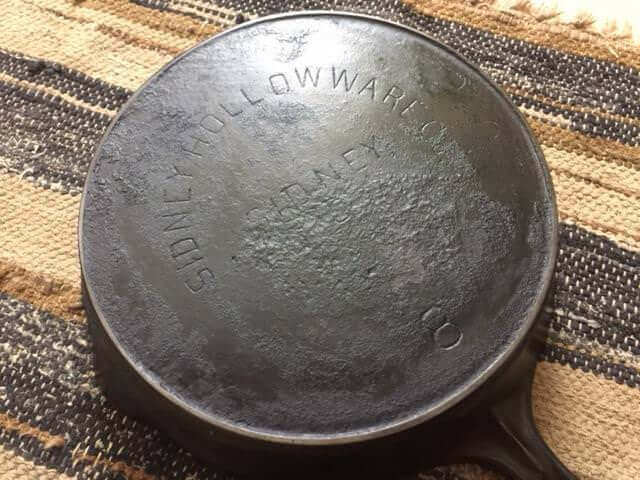 Sidney Hollowware Co. makers of fine cast-iron cookware. The history of the Sidney Hollowware Co is truly amazing. 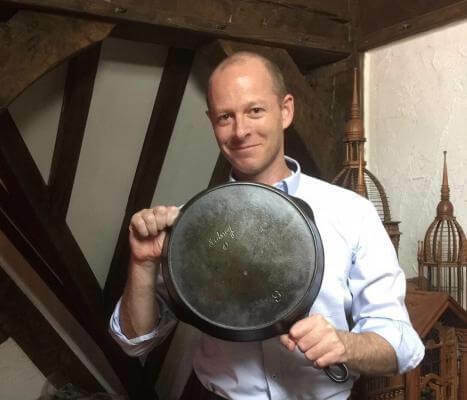 If you are fortunate enough to have a piece of Sidney made cookware made under the leadership of Phillip Smith, you really have a piece of history in your hands. Keep an eye out for them in estate sales, garage sales and of course online where you can find a wide variety of cast iron. 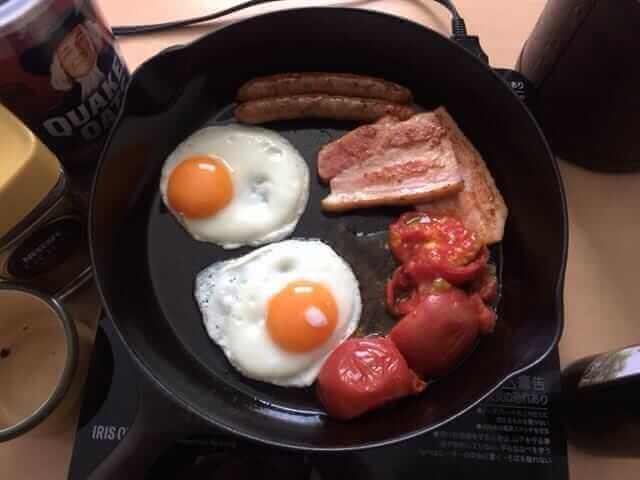 Occasionally Sidney skillets, griddles and kettles come up for sale. You don’t need a Griswold if you want a great skillet. If you’re looking a piece of Sidney Hollowware and starting out in the world of collecting then the Boonie Hick’s guide to Sidney Hollowware may be useful, happy cast iron hunting. 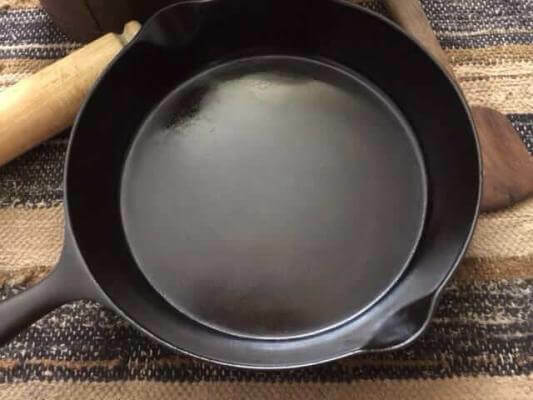 Previous articleWhat are the pros and cons of cast iron cookware? 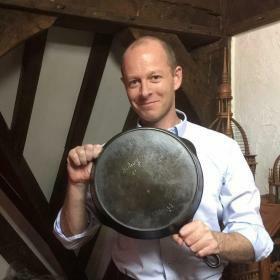 Next articleWhy use a cast iron skillet? Here are some great reasons.